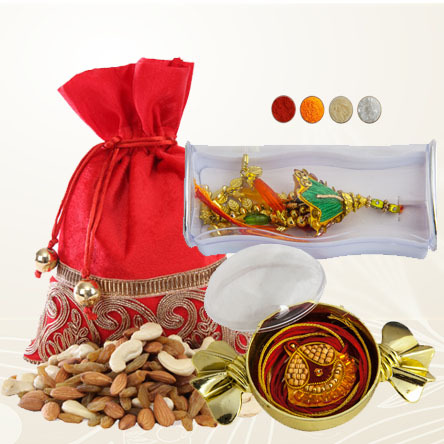 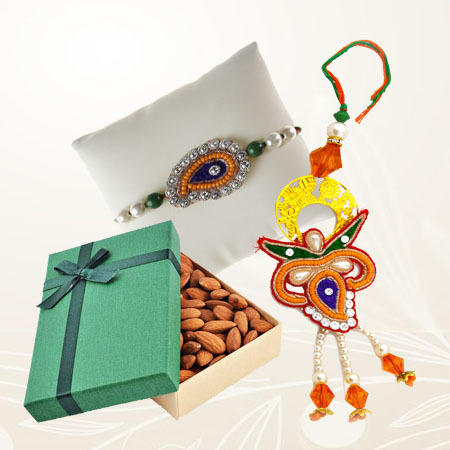 Send this traditional rakhi combo to your brother on this raksha bandhan that consists of 1 traditional Shree rakhi decorated with 200g mixed dryfruits in a beautiful Potli. 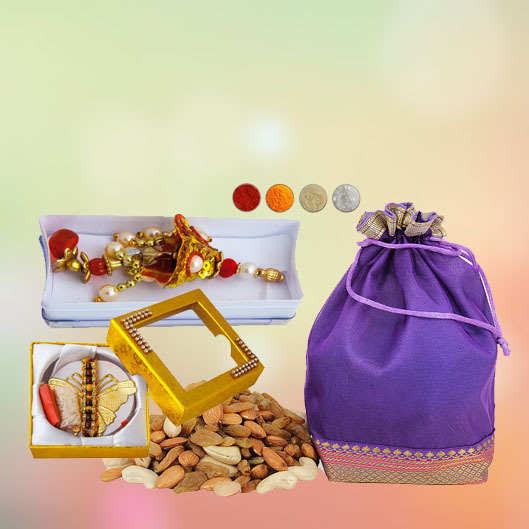 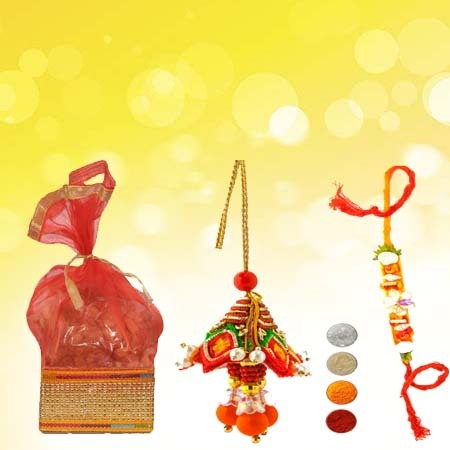 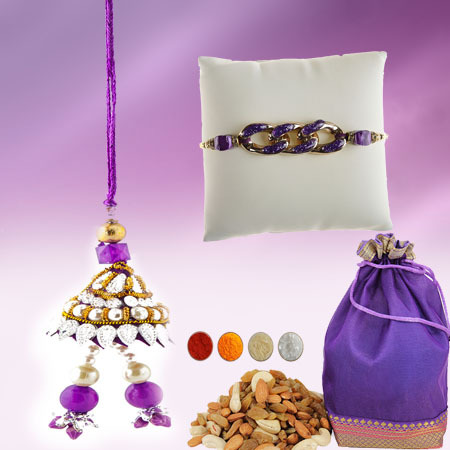 For tilak we offer complimentary roli, chandan, chawal and mishri with this set. 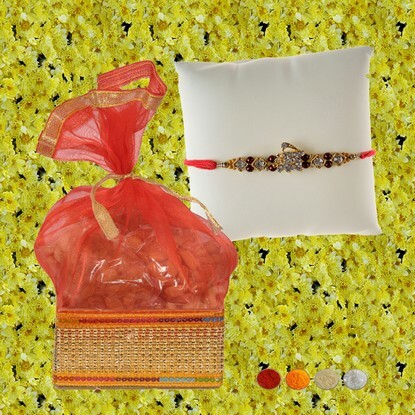 Cushion is not included in this combo.